On the base: located in the center of the village of Ballstad. At the base has its own cozy restaurant-pub with conference facilities. Accommodation is available in 26 apartments with all amenities in the houses "ryurbyu" for 4-8 people. 1-3 bedroom, overlooking the picturesque bay. The central position on the Lofoten Islands lets you explore how the central part of the Lofoten Islands (Svolver, Kabelvåg, Henninsgsvog, Balstad) and the western part of the famous fishing villages "O", the Rhine, Nusford, Ramberg and others. 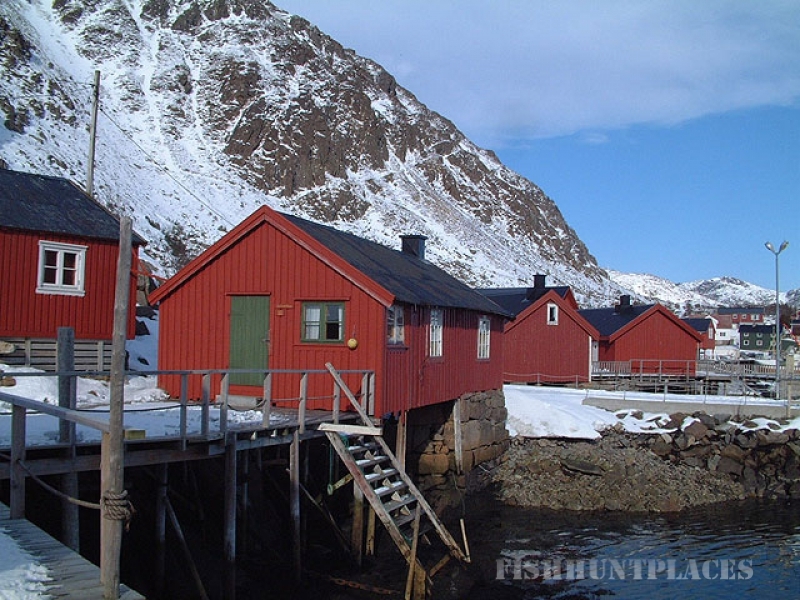 Fishing shop and restaurant are located in the village ballstad (500m), the entire urban infrastructure - g.Leknes (19km), which is considered the commercial center of the Lofoten Islands. - Details: The Kremervike been set European record for cod caught in the bait - 33.92 pound cod was caught in local waters in April 2003. The base is fully adapted for both professional and for amateur fishing. 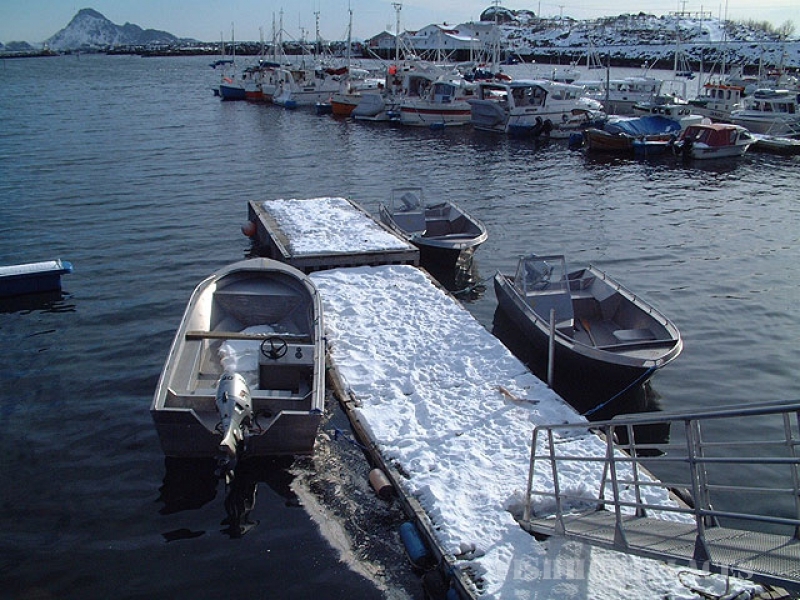 Good fishing boats allow quiet in the fjord and out to sea, and from mid-April to late October. Fishing is possible in any weather with the captain of a schooner. 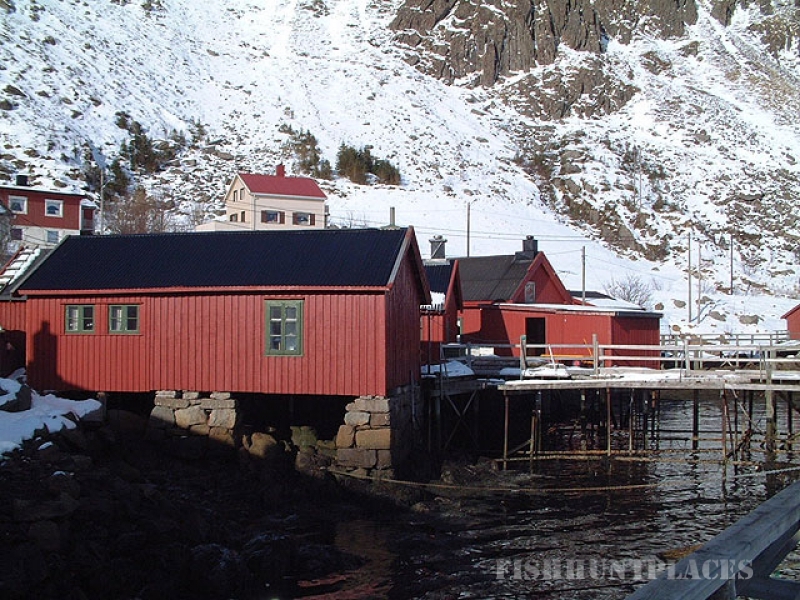 sea ​​fishing in Lofoten is possible all year round, because water never freezes. Actively bite cod, pollack, haddock, redfish, cusk, toothed-ka. Falls and monkfish. The average weight of the catch 4-9 kg, but some specimens of cod can reach 27 kg. In winter and early spring is likely weather - of strong easterly winds with snow and rain. From May to September (high season) Lofoten sets Xia good weather, the sun heats the air to 15 ° C, and the water in the inner fjords and beaches - up to 14 ° C. In inland lakes from late May to September-ber - good fishing for trout. Gear and clothing can be purchased at the fishing store in ballstad (500m), or in Leknes (19 km) or rent on site on request.